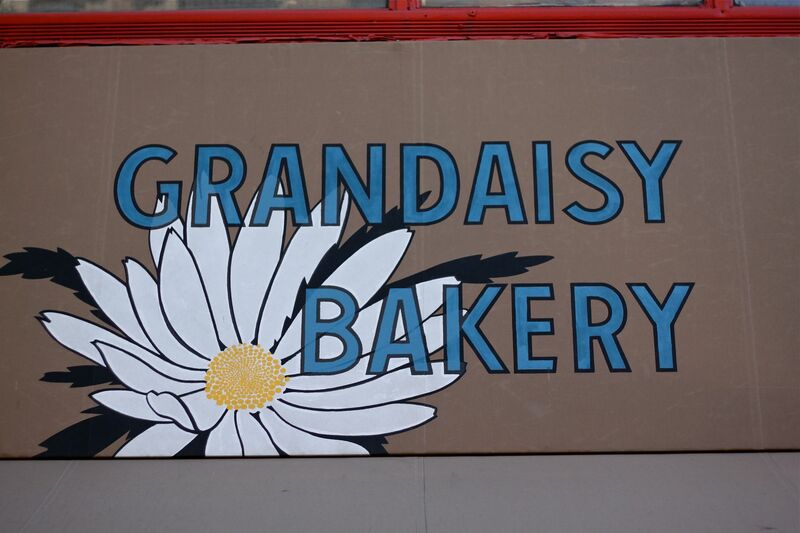 Post Central Park, we walked over to Grandaisy Bakery, known to have some of the best bread in NYC, to pick up a quick snack. 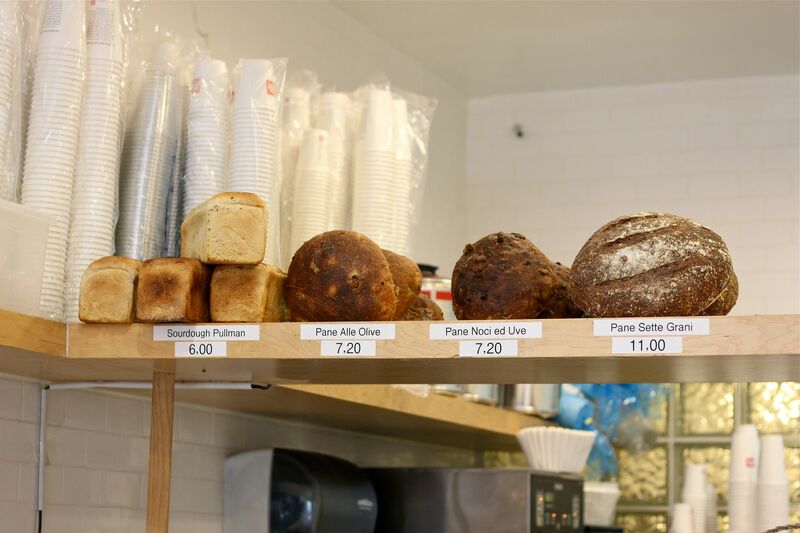 Don't let the sparse interior fool you - their bread packs a punch! 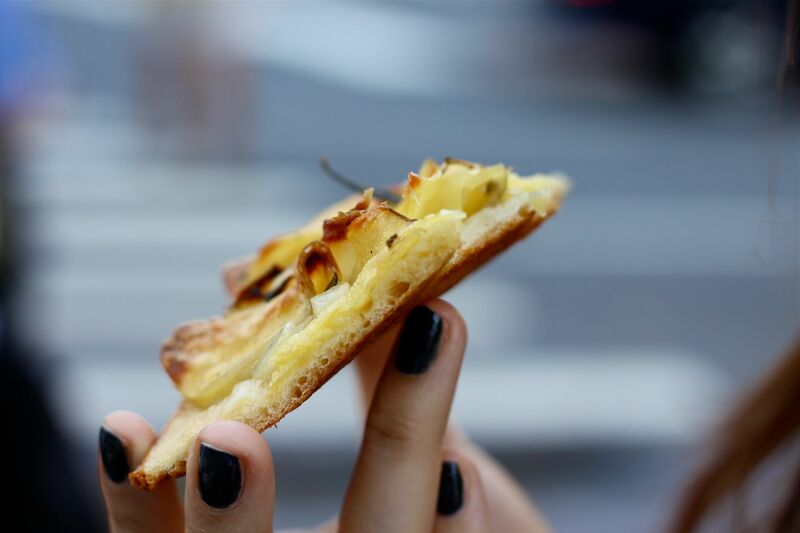 What better for a snack then a thin, delectably crunchy and crispy pizza loaded with thin slivers of potatoes and onions with a light sprinkling of rosemary. 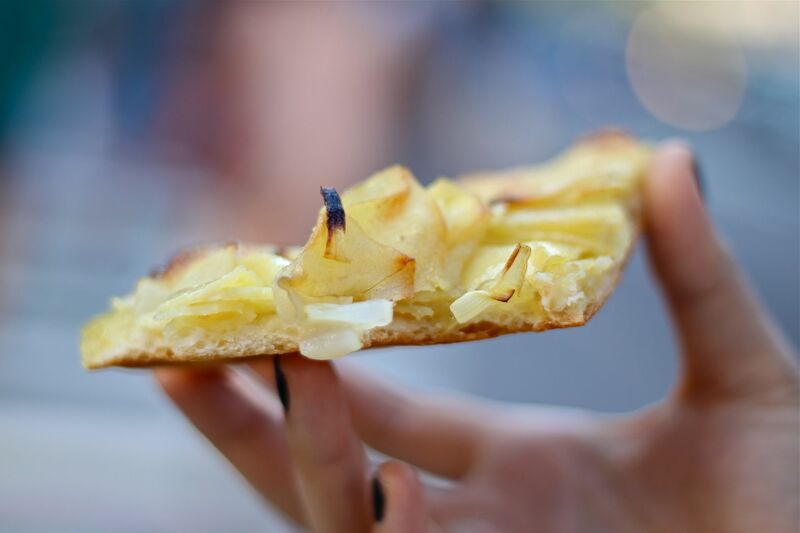 Speaking of potato pizzas, one of the best things I ever ate in my entire life was a steaming hot slice of potato pizza in Rome - you know one of those meals where you take that first bite and you literally feel your taste buds thanking you voraciously. I wish memory included taste sensation so that I could relive that night again and again. After all these years of living here, I've become quite biased and obsessed with extra thin crust pizza - it's just the way pizza was meant to be. 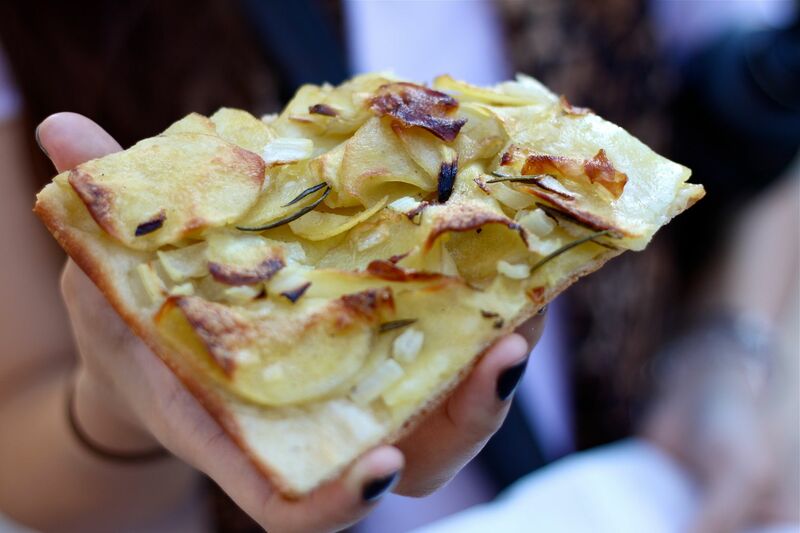 Grandaisy's patate pizza has an unusual thin crust that is incredibly sturdy - the perfect structure to hold heavy toppings! Most NYC thin crusts are a bit wobbly where you end up having to fold the thing over like a sandwich - but I'm not complaining! After work on Tuesday, I walked by Bryant Park and witnessed the tents being put up for Spring/Summer 2010 Fashion Week that starts next week! Can you believe it? It's the start of fall!! The sudden drop in temperature for the past couple of days has got me super excited for fall dressing, so much so that I decided to wear tights with shorts for the first time in months. I hope I get to bump into some of you lovely ladies and gents in New York next week at the shows! alinta: what do you think is the most important quality for a girl (or anyone for that matter) to have in this day and age? Understanding how to balance independence and dependence. anonymous: how old are you? what do you do for a living? I'm in my early 20s and I work in buying for women's contemporary clothing. sugarxnspice: i'm curious to know.. what're your hobbies? I like taking walks with Meeko, going to Central Park and various dog parks, watching movies at the theater and at home on Netflix (which is the best thing ever! ), going out and discovering new places to eat/shop/relax in the city. amie: is your hair naturally wavy and voluminous or do you style it? And in the latter case, how? My hair is naturally wavy, but I do style it with a 1-inch barrel curling iron. I've found that it's so much quicker to style long hair with a curling iron - blow dryers take forever and it's pretty much impossible to fake a professional blow out. anonymous: how do you care for your skin/hair and what products do you use? I don't like using products for my skin that have parabens so I try to look for alternative brands - I really like the antioxidant serum from Juice Beauty and I'm testing out a skin care line called Canyon Ranch, which smells amazing. I also wear Neutrogena sunscreen everyday. To keep long hair looking healthy, I recommend doing hair masks at least once a week. My favorite hair mask is Frederic Fekkai Protein RX reparative treatment mask - it smells like vanilla ice cream.